Get ready for something very different. This ain't no screen cast. This ain't no talkin' head lecture. This is an Uncle Bob Video! This is like watching Uncle Bob on stage, but more so. This is high content education that will hold your attention and stimulate your thoughts with its impactful and energetic style. 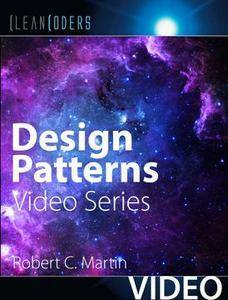 This video collection includes episodes 25-34 from the Clean Code: Design Patterns series by Robert “Uncle Bob” Martin from CleanCoders.com.